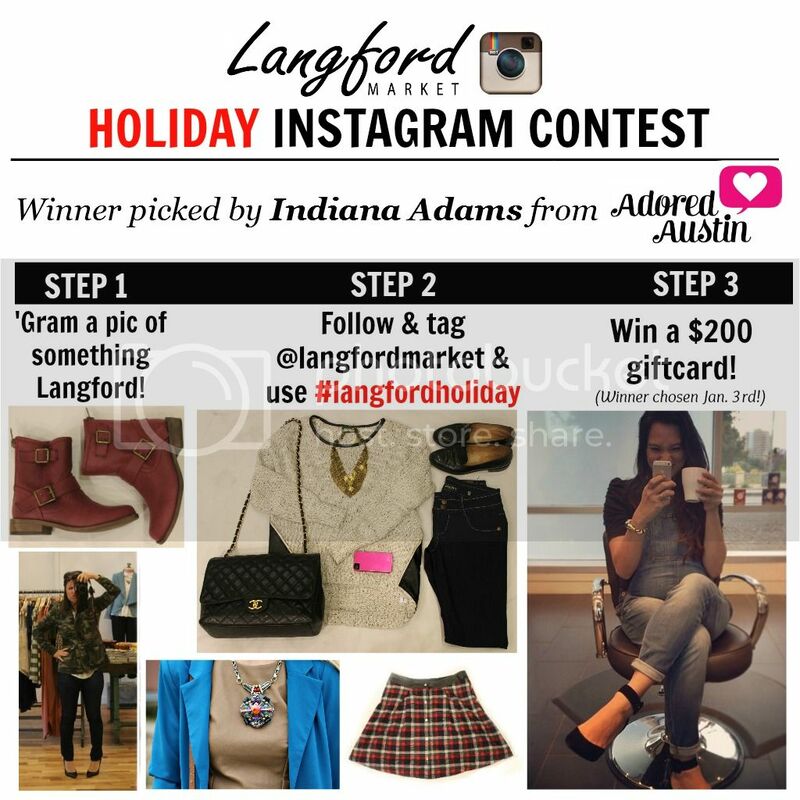 I love a good Instagram contest, and I love Langford Market. This time I get to be in the judge's chair for the #LangfordHoliday Instagram contest, and I'm as giddy as Adam Levine in a spinning chair on The Voice. A $200 gift certificate can get you a ton at Langford Market, plus they have stores all over the country (including the newest one in Austin in the old Toy Joy shop at 29th and Guadalupe... it's gorgeous! Have you been, yet?). Winning this would certainly kickstart your 2014 wardrobe! Plus I can't wait to see what y'all come up with. You can find Langford Market on Instagram at http://instagram.com/langfordmarket and I'm at http://instagram.com/indianaadams posting too many photos of my kids and food I didn't even cook. Follow us! Christmas Card Curl Power // Thanks, Pantene!